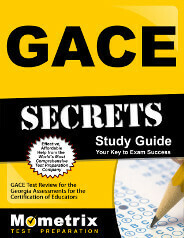 The GACE English to Speakers of Other Languages Assessment is a test designed for individuals desiring to teach English to students whose native language is something other than English, in the state of Georgia, from level P through 12th grade. The assessment consists of 2 different tests, which may be taken individually or together on the same day. Both tests are computer-based in format and two hours are given to complete each test, with 30 minutes added for computer testing tutorials, etc. Each test is made up of 80 selected-response questions, such as matching, multiple choice and/or true-false questions. The questions on both tests assess basic knowledge of English as a second language as well as the ability to apply this knowledge in a classroom setting. Most tests also include some selected-response questions, which are not included in the actual test scoring, but are used to determine test-taker performance. 100% of Test II covers Planning, Implementing, and Managing Classroom Instruction and Assessment Environmental and Natural Resource Systems. Testing windows are offered throughout the year, with test results usually available approximately 2 weeks after specific test dates. 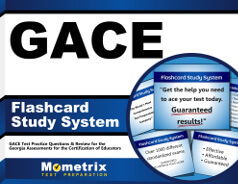 Do you need help preparing for the GACE English to Speakers of Other Languages Assessment? No problem! There are several types of study materials available to use, such as interactive practice tests, tests at a glance (which give a quick overview of the tests), tutorials, videos, webinars and other strategies and tips. Make a real difference in the life of a struggling student. Register for the GACE English to Speakers of Other Languages Assessment today and change a life forever!